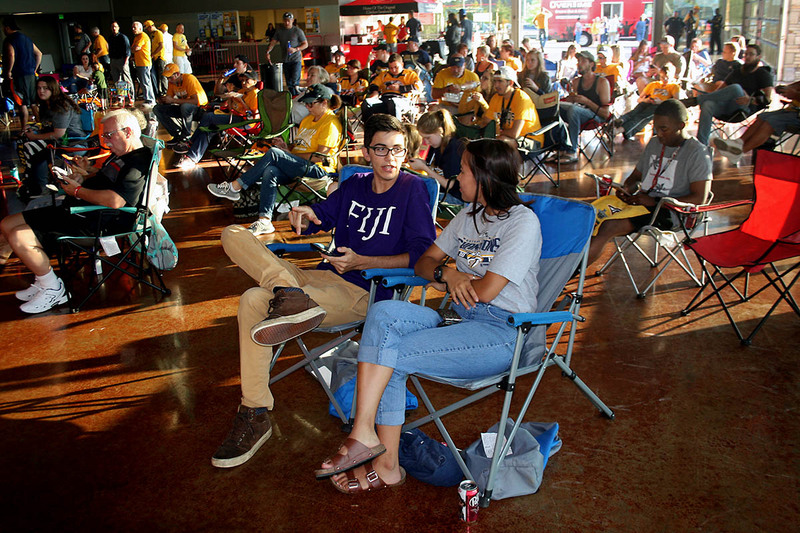 Clarksville, TN – As the Nashville Predators’ wrap up winning the NHL Central Division, the Western Conference and the Presidents’ Trophy, the City of Clarksville is happy to announce the return of its popular series of Predators Stanley Cup Playoff viewing parties. Clarksville residents gather to cheer on the Predators at a Stanley Cup Finals viewing party in the City’s Wilma Rudolph Events Center last Spring. The Clarksville Parks and Recreation Department and CDE Lightband will stream playoff games to multiple screens at either the Wilma Rudolph Event Center or McGregor Park. The party location will be announced after the game schedule is released. Stay tuned to the City’s website and social media for announcements. The City of Clarksville’s free viewing parties at the Wilma Rudolph Events Center and on Strawberry Alley were a big success last year. Thousands of Clarksville hockey fans enjoyed the chance to gather in a City-sponsored, safe and family-friendly atmosphere and cheer on the Predators.